This recipe that I found in issue #141 of Saveur Magazine was on the labor-intensive side, but it was worth the effort. 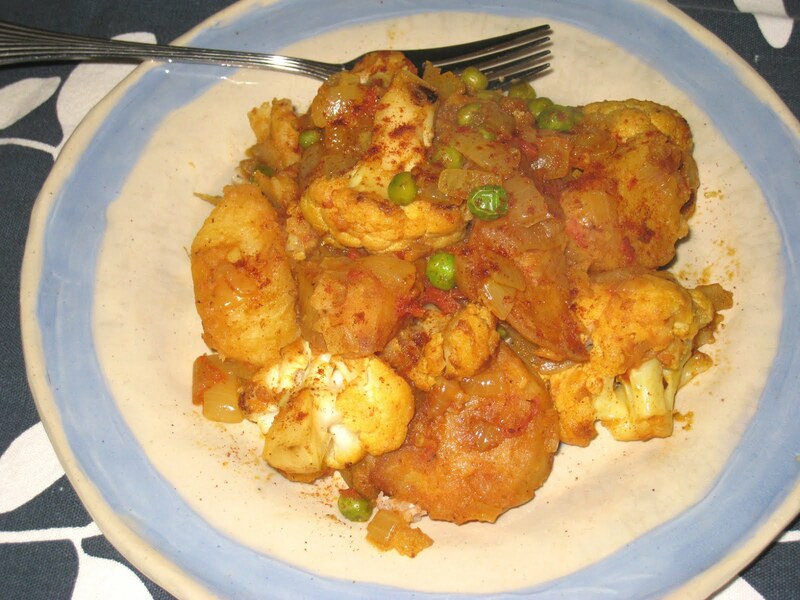 Cooking the potatoes and cauliflower separately gives each an intensified flavor that complement each other, punctuated by the unctuous softness of the caramelized onions and the sweetness of the peas as they pop in your mouth. It was more dry than I thought it would be, but I think my expectations were caused by the ubiquitous potato and cauliflower curries that grace pretty much every Indian buffet I have ever sampled. Once I got over my initial surprise at that difference, I decided I liked it better this way. This paired well with both brown rice and with chapatis. It works as side dish or as the main course. Since I pretty much followed this recipe as written, rather than post it here I will simply point you toward it. You can find it here. Who Determines What Can Be Considered Organic? How Expensive Is It To Eat Healthfully?